This is a view at the mouth of the Whitefish Falls River. 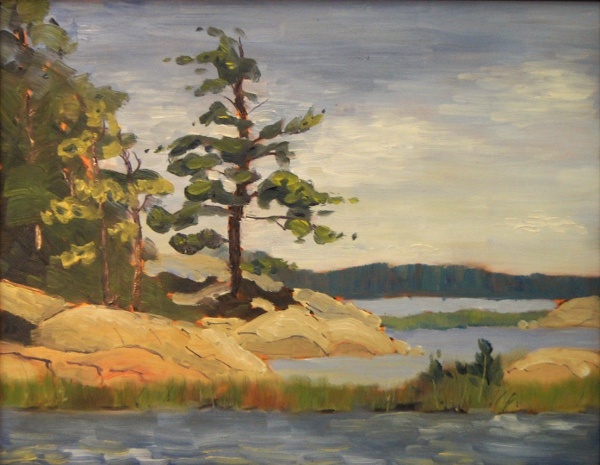 It is easy to see why many members of the Group of Seven loved to paint in this area. It was hot enough to be dangerous for me because when I am painting I am oblivious to everything but my work. I was very hot and dehydrated when I finished this.